This is a sponsored post by Minted, whose products I love and purchase for my home! All opinions are my own. This year, it's going to be the best year ever. I'm a big fan of traditional cards and hand written letters and quality paper and beautiful photography. BUT, I have (long time) dreaded the whole process of creating, addressing, and sending our Christmas cards. I do believe that my husband even asked me not to send them out one year because I was a miserable grump for so long, trying to get it all together in a way that said something about who we are as a family. 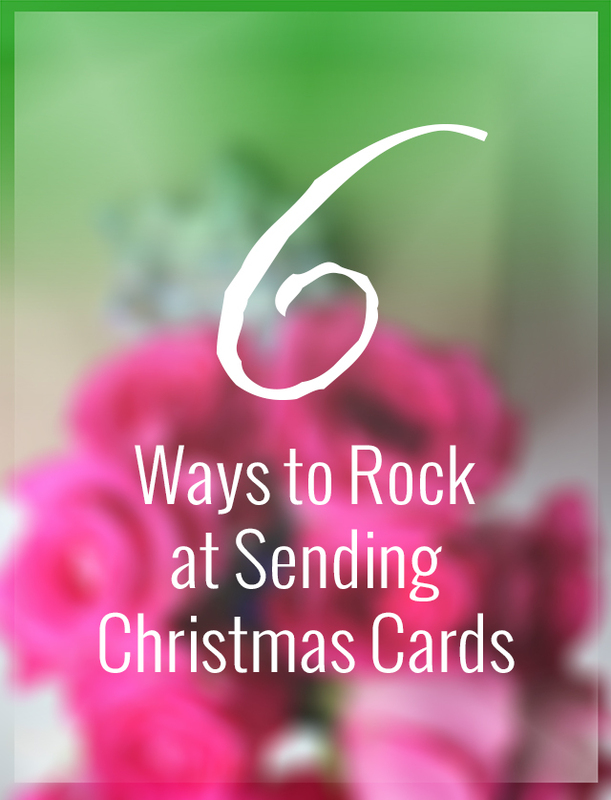 I'm not here to convince you of the importance of Christmas cards - to each her own - but I am here to tell you how to rock the process if you DO send them. I want you, too, to love this process (because I want to receive your beautiful, handwritten card in the mail), and if we can make something that much more awesome, let's go ahead and do it. This might be in the form of a letter or a photo or something else. Many of us parents want to show off our kids or pets or both and so we opt for photo cards. First step to great photo cards? Great photos. DIY family photo shoots can be awesome if everyone is well rested and in the mood. We opted for some time with our friend and amazing photographer, Brittani Renee. If you live in the Indiana or Michigan area, book your photos with her. She spent a few hours with us and gave us a load of great options for our cards (and presents, too!). So, of course, it's a great idea to keep your address book or file constantly updated so that you know everyone's address, but (blah blah blah) some of us are not that on task all the time. If post Thanksgiving is the time that you need to put it all together, then so be it. I have a small drawer where I keep return addresses of new friends or those who might have moved. I pull out that stack in late November, and I update an Excel sheet that I've been using since we sent out our wedding invitations! Use technology here to be your friend. Social apps can help find missing info and the White Pages app can help find details that you might be missing. Bonus, some companies like Minted offer free (FREE!) addressing on all of your envelopes. I am a lover of handwriting, but I must say that going with Minted and seeing the way that they handled the printing of the envelopes (so good), I was convinced that this time saver was my new best friend. I created our cards for the first ten years of our family. It was a total labor of love that I designed and printed from our home. I loved it, but it also stole me away for hours and stressed me out and made Christmas cards seem to last forever. So, for now, for me, the right choice was to order something. But I also wanted something unique this year. Our photograph has bright pinks and blues in it so a traditional Christmas color scheme just wouldn't do. This might be the year to switch it up for you! Maybe it's a bulleted list of activities of each family member for your card. Maybe it's a mini book of messages or a gift tag. Or a montage of photos rather than just one. You may just find that changing your card injects more fun into the process! Totally biased on this one, but a great design goes so far! There are many wonderful options out there from Make-Your-Own kits to store bought packages of cards to designer collaborations. I wanted something on trend for our card so I scoured the foil pressed section at Minted. With their site you can select the photo or photos you want to use and see it in all the designs at once. Game change for me. This selection process could have taken me days, but instead was done in 15 minutes. Various color ways and foils are available for each design! And a fun add-on they have is that you can watch the foil shine through a .gif of your card. I may have been mesmerized by this for more than a few moments. With the photos warm tones, I decided the new rose gold foil would be a great pick for our message of Rejoice. *Spoiler alert to friends who will receive our cards! To keep me motivated, I pull in our three children to help decorate the Christmas card envelopes. Now that they are already addressed, adding some charming Christmas stamps doesn't take too long for any of us. It's fun to sit around the kitchen table, listening to the Swinging Christmas music station on Pandora, and talking about all the families and friends who will receive our greetings. I bought a full box of assorted Christmas stamps at a local craft store as well as a red and green stamp pad, and we (or they since I'm busy writing the messages) rotate around the table after a dozen or so envelopes so that every child has a chance to use every stamp (this has become an important point to them). Christmas cards, especially those with personal messages and photos, are a unique, once-a-year communication with individuals important in our history and present lives. Since you're putting the time into your cards, why not make a frame of the last five years that you can display at Christmas? Or put a binder ring through all of them and bring them out every holiday to see all the years. Consider making the Christmas cards you receive a part of your holiday decorating. Creative ways to do this abound! Check out my Christmas board to get inspired to create one of your own. Minted is running a holiday discount on cards when you use the promo code: Joy15. You get 15% off your order until Dec. 8, 2014. How do you send your holiday greetings?